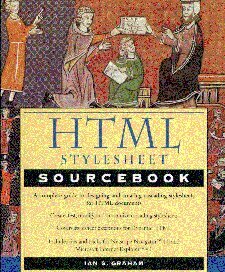 Download the Web Site for "The HTML Stylesheet Sourcebook"
Overview -- All the documents from this supporting Web site can be downloaded as an archive, and installed on your personal computer. This archive is available in two possible formats: UNIX tar and PC PKZIP. Simply select the archive you want, and download the file to your hard disk. Please see the bottom of this page if you have another type of computer. This archive is stored in the standard Windows ZIP format. You can use any of the standard ZIP programs to unpack it (PKUNZIP, WinZIP, etc.). Note that the archive uses long filenames -- so that the archive will not unpack properly if you are using Windows 3.1. There are no archives specifically created for these platforms. However, most standard Macintosh "decompression" programs (StuffIT, for example) can unpack UNIX tar/zipped or PKZIP archives, so just download one (or both) of the archives and try it out with your decompression tool.